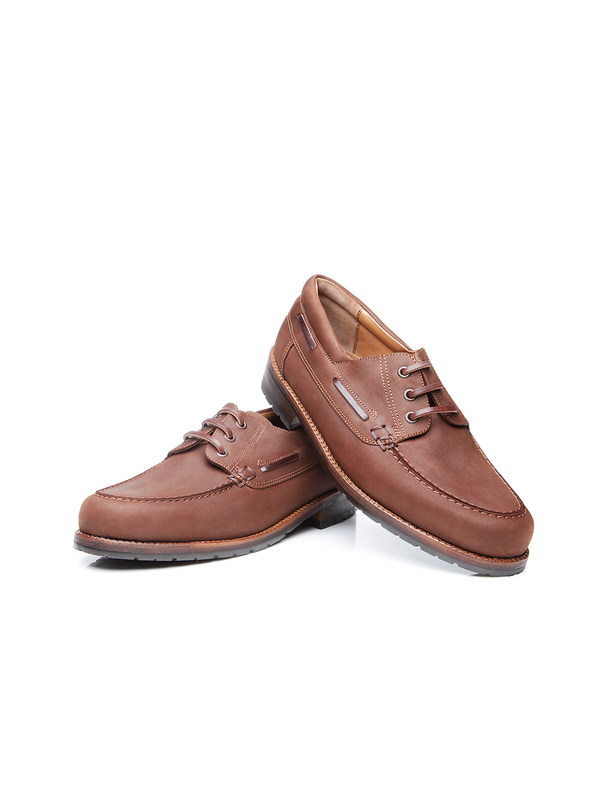 Boat Shoe This lightweight slip-on shoe is distinguished by a U-shaped vamp insert and a leather cord threaded around the opening at the top. 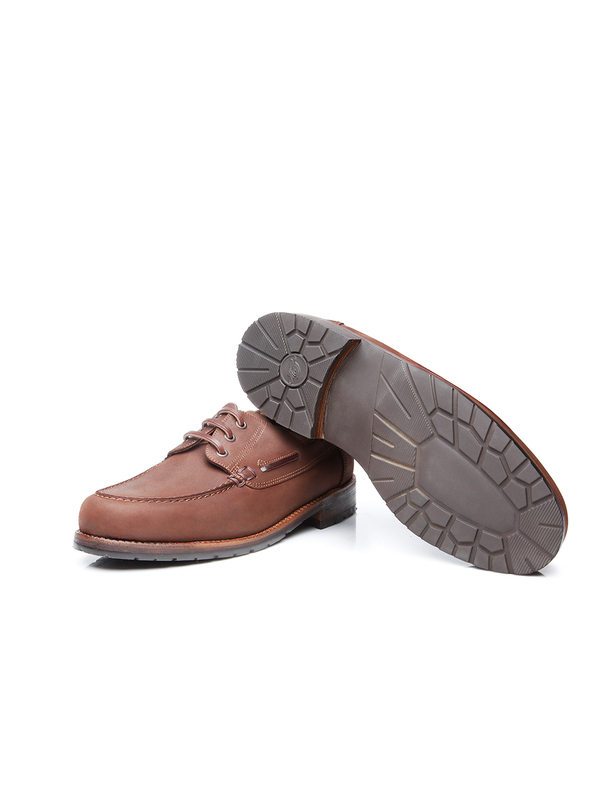 Miami Last – Width G The classic last for boat shoes is defined by its comfortable width. 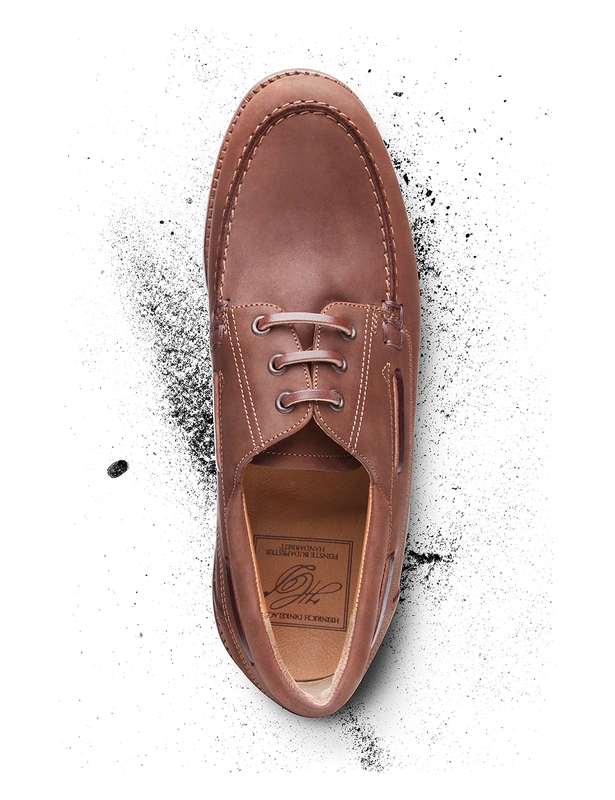 A classic sailor’s shoe: Presenting a handcrafted nubuck boat shoe, a seafaring addition to our collection that is also suitable for land. 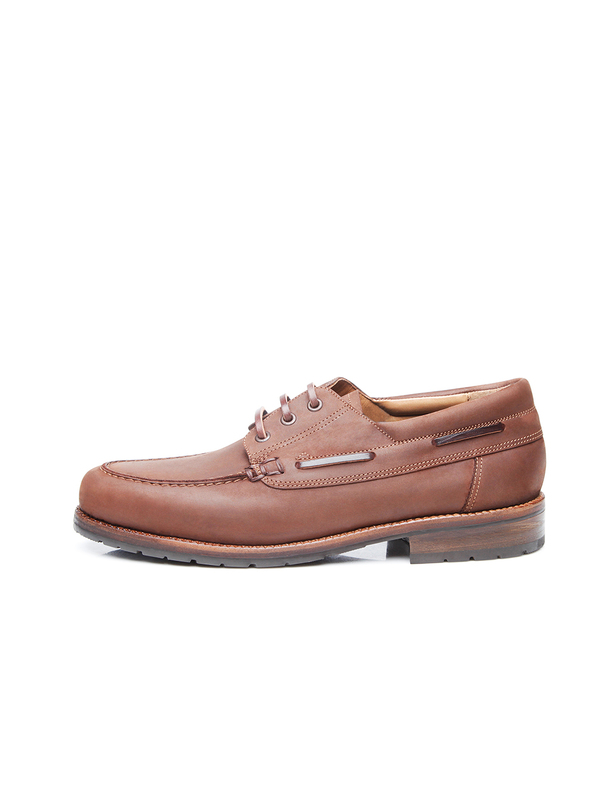 While boat shoes were once limited to nautical wear, these famous slip-on shoes have long since won over landlubbers as well. 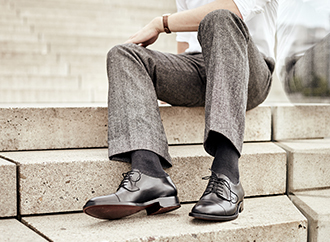 Thanks to their particularly flexible construction, they are perennial favourites for sophisticated leisurewear. 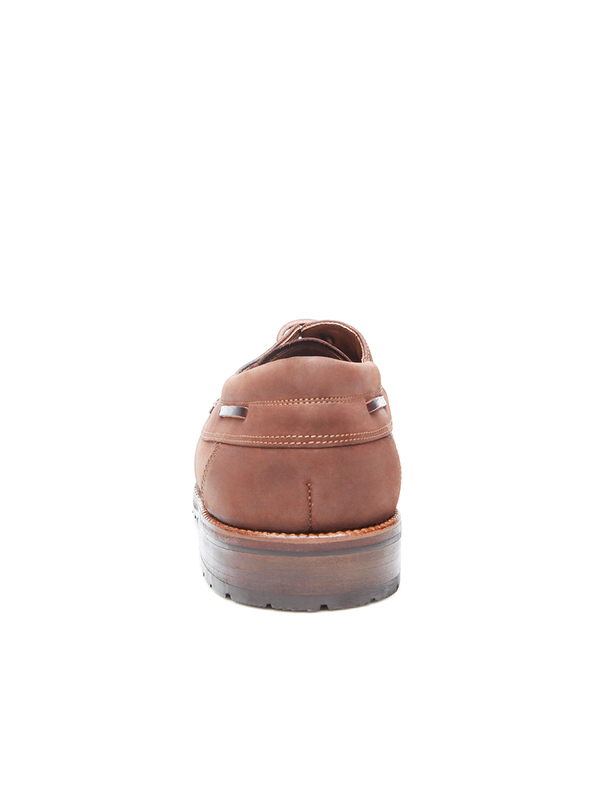 This beloved slip-on shoe is known for its U-shaped vamp insert as well as the drawstring closure at the top of its shaft. 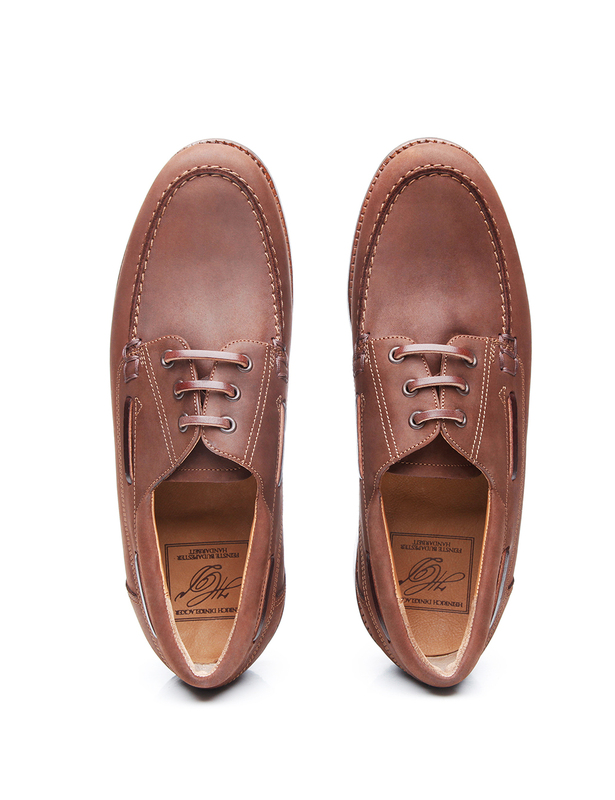 Boat shoes such as this one feature a long strip of leather that acts as a shoelace, threaded around the opening at the top of the shaft and ending in three sets of eyelets placed atop the stitched-on quarters. 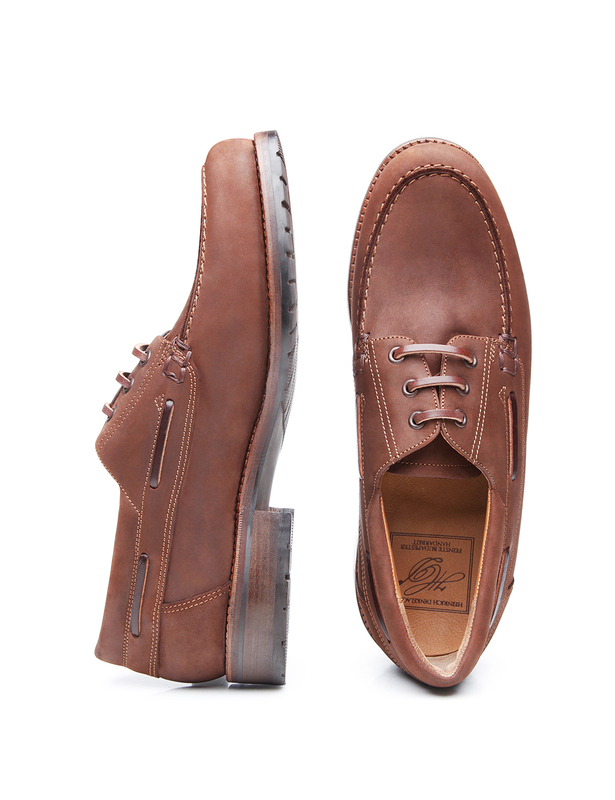 This model’s upper consists of nubuck in a warm brown tone that has been greased and submitted to a waterproofing treatment — a perfect complement to the shoe’s nautical design. 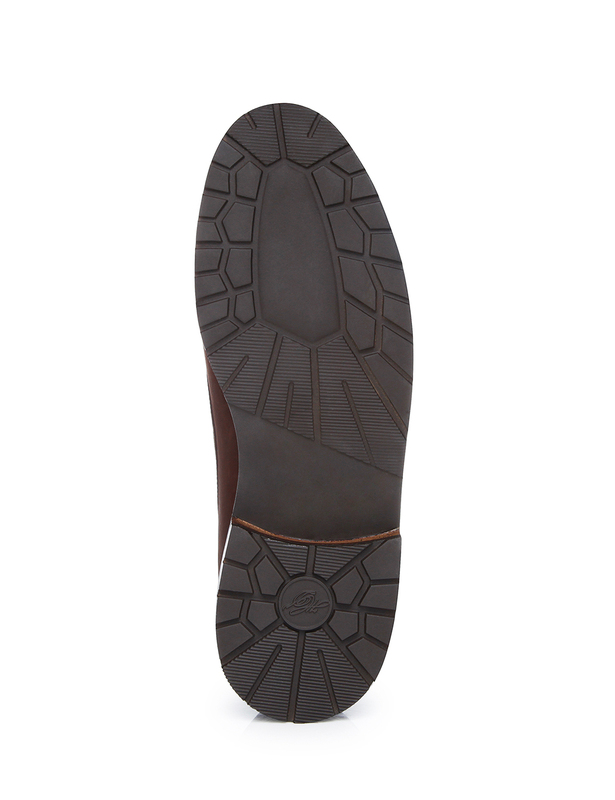 Meanwhile, a double leather outsole, a robust rubber lug sole and a roomy overall width ensure wearing comfort. 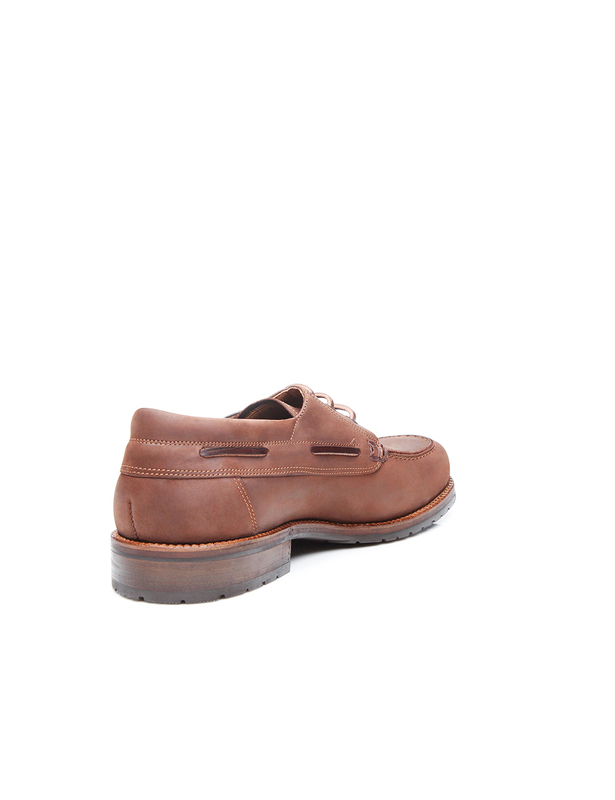 The sophisticated materials used to make this shoe were meticulously assembled by master cobblers in our Budapest factory. 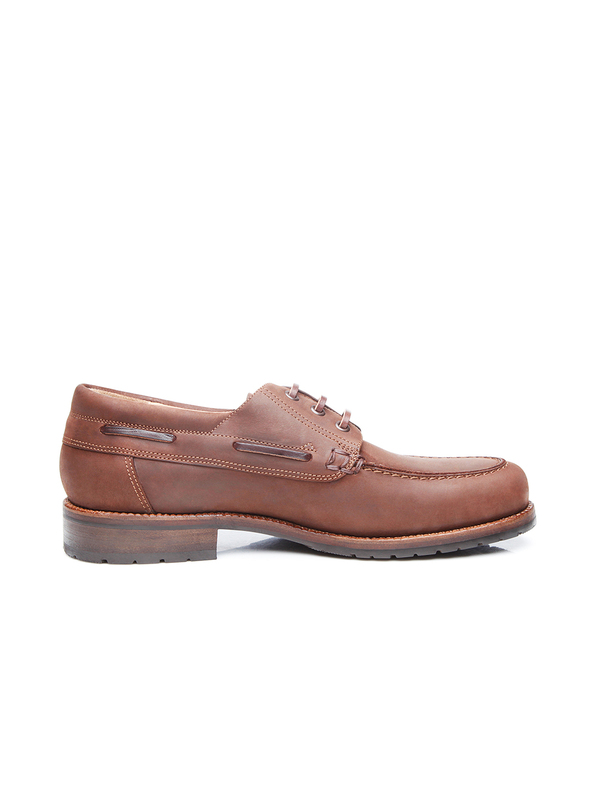 The result: a premium men’s shoe boasting all the benefits of traditional expert craftsmanship. 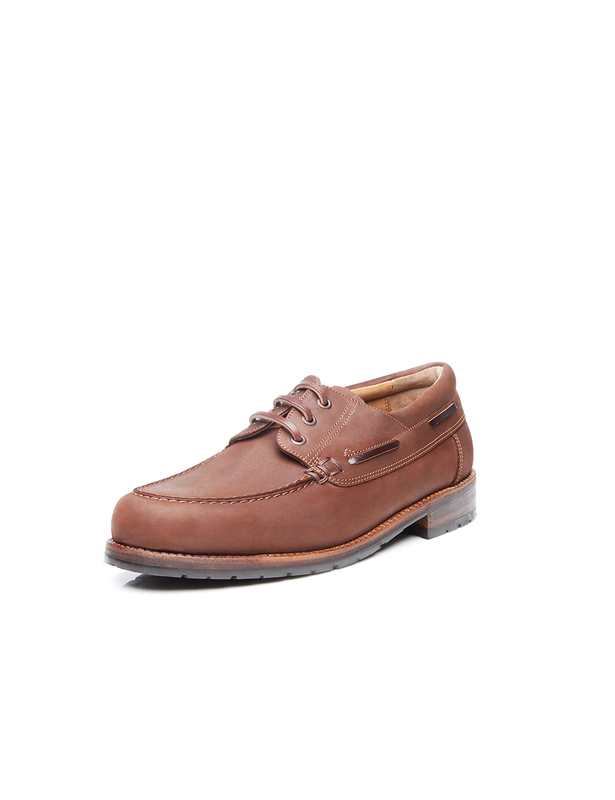 From holiday strolls to standard weekend wear, this classic boat shoe is a charming choice with a sporty, leisurely look. 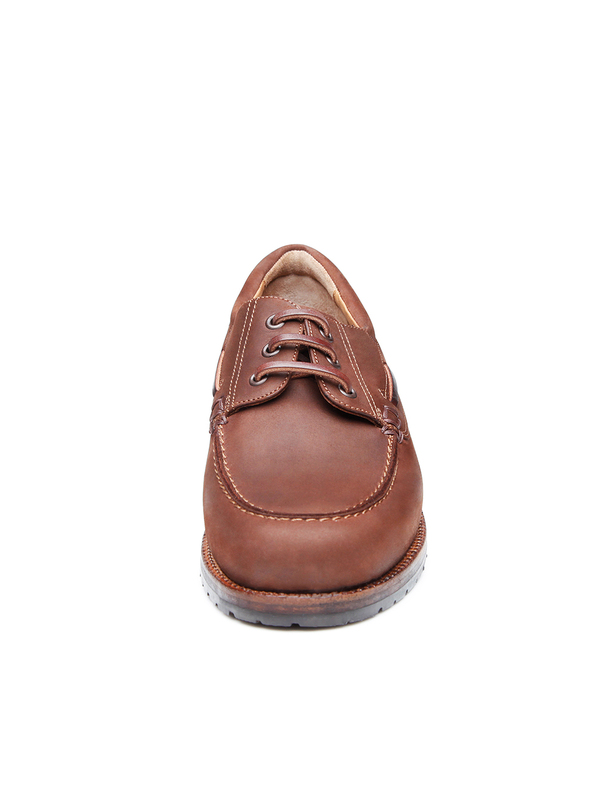 It is easy to put on and take off, too.